Blogging has given us the freedom to travel and still make money. Whether you decide to start your travel blog or blog about anything else you have the passion for, blogging will give you the funding you need to see the world. Are you ready to set yourself free and travel the world, without having to worry about how you will pay for your travels? Start your travel blog now. In this post, we will be giving you a step-by-step guide on how to start a travel blog. You have to experience it to believe it! Ula and I have been traveling for the past two years and earning six figures annually just from blogging and affiliate marketing! Therefore we regularly get a whole load of people asking us for guidance on how to start a travel blog. Those of you who are subscribed to our YouTube Channel, Facebook and Instagram are familiar with our feeds. It certainly makes our life look like a dream. Let’s face it, it is great to be part of the “Set Me Free Financially” Team and actually get paid whilst traveling the world. But this is where we need to get serious! Starting your travel blog is not as easy as it seems. If you are new to blogging, you can lose the wood for the trees. You will probably hop from one blog to another trying to get tips on how to get started. Therefore we thought it will be great to make your life simple. For this reason, we have prepared the ultimate guide on how to start your travel blog! Ula is the technical expert, and she will be sharing her excellent SEO strategy. I am the content guru, and I will also share what I have learned in the past couple of years with blogging whilst traveling. Together, we will get you started on your first travel blog. Think of a Great Name for your Blog. Get Started on WordPress – What is WordPress? Learn How to Make Money Whilst Travelling and Blogging. Start a Travel Blog – Is It Really That Simple? Yes, if you are set to start a travel blog, it is very simple. Especially, when you have the team from “Set Me Free Financially” guiding you on your first steps. We are serious. If you follow our simple steps you can get your travel blog up and run in the next 24 hours. Many people travel and keep notes. They share them with friends and family. Effectively, they are blogging without knowing. What we plan to do in this post, is help you start a travel blog, from which you can make money and do more travels! Think of a remarkable name – one which you can use today and in ten years time. Names like MyBestTravelYear.com would restrict you in taking your blog to the new best level. Keep it simple. The best names are probably those that are short and sweet. Easy to remember, hard to forget. Write down as many names as you possibly can, and brainstorm with family and friends. But before you do a whole lot of work, and set your heart on a name, make sure you head directly to BLUEHOST and check out whether the domain name is available. Think in terms of what you would prefer to write about. Are you a foodie? Or are you a culture enthusiast? Are you perhaps in for adventure? Whatever your passion for traveling, the name of your blog should relate to what will naturally become the core of your writing. Hence, pick a name that is relevant to your core. In this guide on How To Start a Travel blog, we will not leave any stone unturned, for your ultimate success. However, our friend thesaurus is a great inspiration for names as well. Explore and find out names that may catch your fancy. Numbers and Hyphens – To Be Strictly avoided. Avoid using numbers or hyphens in your domain name. They create confusion and misspelling. Imagine you pick “100 top destinations traveling guide” or any number for that matter. You are having a conversation with friends and tell them that you have now picked the perfect name. When your friends ask you about your blog name, and you are having word-of-mouth marketing, they could try your blog as 100-topdestinations.com or onehundredtopdestinations.com or even onehundred-topdestinations.com! I am sure that you realize the potential confusion and difficulty to find your blog! Use Fresh Ideas – Don’t Fall in the Overused Words Trap or Cliches! “Adventure in a Bottle” and “The Unknown Nomad” will not make you unique! Remember that whichever name you decide on, is the front door to your story. And it will stay with you forever. If you are planning to start a travel blog, the front door should be an attractive invitation to take your readers indoors. “Destinations I plan for my thirties” for example, are restrictive. Let’s face it, you may do so well with blogging, that you want to take it further into your forties. What do you do with a name like that! On the other hand, if you are in your thirties, and looking for a “niche market” you may want to think in terms of “Destinations to Hit in Your Thirties”. Although this may automatically, exclude a large audience over thirty, it will target your mainstream audience, who because of your age, you understand perfectly well! These are all extremely important guides to consider when you are planning the name of your new blog. Plan to start a travel blog? Start with a great name! Right, so you are a complete newbie? You may be thinking, so what is hosting? Hosting is really similar to renting space in a huge public library. Your “travel blog” is like a book, with pages being added on a daily basis. With hosting, your blog is like a book parked in a library, under the correct section, and which is easily accessible to anyone who wants to dive into your world. Finding the best host, is quintessential, to the instant availability of your work. The costs related to hosting should also be considered. 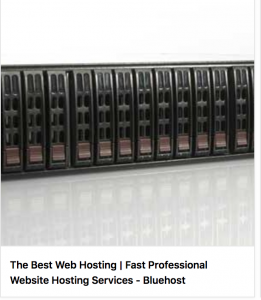 Our recommendation for hosting is to use “BLUEHOST”. Bluehost, offer one of the best hosting services in the industry. The costs are as low as $3.95 per month, for annual hosting. And better still, they offer you a free Domain Name registration (the name you have thought so hard about above). You may head over to our article on “How Can I Start a Bluehost WordPress Blog” and find out more about hosting. If you are ready to start a travel blog, and you have picked your name, BlueHost is the Better Value service provider. Here is how you go about registering your Domain. Step 2 – Select Your Plan. If you happen to have already registered your domain name with another provider such as “GoDaddy” you may want to avoid double charges and transfer domain. Here is How to Do it! As already clearly explained in our post on How To Start Your Bluehost WordPress Blog – it is quite important to get Domain Privacy Protection. Let us be clear here, we do not want people looking into your private details like phone number and mailing address etc., You want to have your privacy protected. You will provide plenty of alternative email addresses to your subscribers. Avoid snoopers and stalkers! #3: Get Started on WordPress – What is WordPress? For starters, you will want to have a self-hosted account with WordPress. You do not want a blog post. Blog posts cannot be monetized easily. After all, we want to start a travel blog, that will give us a steady income and finance even more travels! It is quite important to get your WordPress software to be lodged with your hosting servers and not float around as a WordPress.com site. If you are new to this you may be asking why this is relevant to your site. Here are a few reasons. Here is Why You Want to be Self-hosted! You want your website to carry your chosen name eg., “TravelBeforeMidnight.com” not “TravelBeforeMidnight.WordPress.com” right? You can see the benefit of that without any argument. Be in control. Your data and your work are your own when you are self-hosted. In blog posts, it belongs to the ultimately shared blog. Monetise your self-hosted site. You can sell advertising, and you can earn with affiliate marketing! 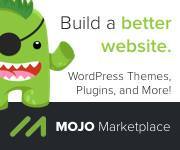 Choose your custom theme and install all the plug-ins for optimized search engine rankings. This you can only do on self-hosting. You can only use Google Analytics on a self-hosted site. This is very important as you will want to track the demographics of your subscribers and whoever is following your blog. Therefore, you want to use WordPress freely on your site. 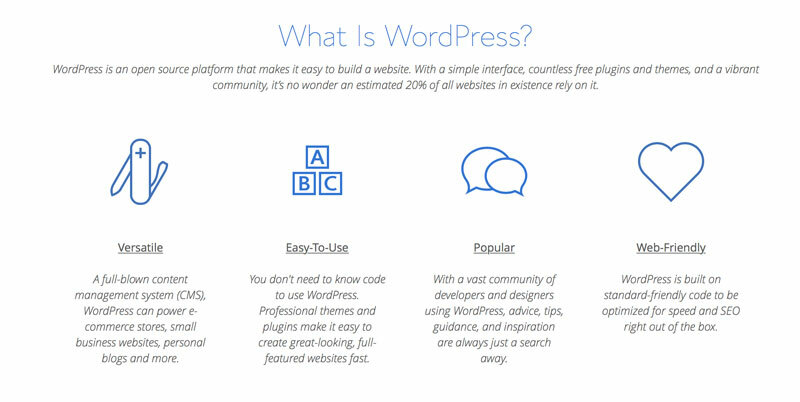 WordPress is the ultimate, friendly-user platform which makes blogging as simple as ABC! It is “The Lion King” of blogging. You will not want to use Blogger or Blogspot for the very same reasons explained above. 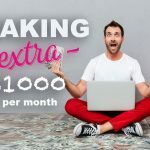 We want you to make money from your blog! Therefore follow Rihanna’s, Beyonce”s and Katy Perry – who all use WordPress for their blogs. 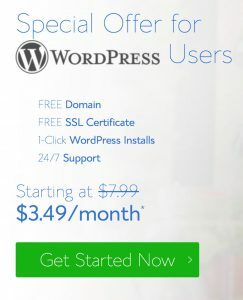 Next step is to install your WordPress on to your Bluehost Account. This is as easy as ABC – even if you are a complete NewBie. Install WordPress and log into your dashboard with a username and password of your choice. It is as simple as that! If you have already followed these steps so far, then we extend you a very warm welcome! You have joined the “Set Me Free Financially Club” and you have just headed for a great start a travel blog! #4: How Do I Navigate WordPress? WordPress is for bloggers what food is for Top Chefs! Do not feel daunted by WordPress. You will not only find tons of online tutorials on how to use WordPress, but we are giving you some useful tips from our free video tutorials. Head over to our YOUTUBE CHANNEL to a world of Free Tutorials. If you are still fazed by WordPress or you find a glitch, just key in your question into Google search and you will definitely find all your answers. Remember WordPress is the “Lion King” for bloggers and everyone who is anyone has encountered your same problem before and has found an online solution! “Themes” come as a standard part of your WordPress blog package. We highly recommend that you get yourself a premium design. This is not where you want to skimp on pennies. Your new travel blog is going to make a substantial impact on your income in the future. Therefore, this is part of your very small capital investment, and it should be well worth the cost. Premium design blog themes are around $25-$80. We assure you that it will be money well spent. The overall design of your blog will be professional and superior. Remember that having a site, that is easy to navigate and clearly mapped out, means that your subscribers spend more time on it. This will not just add to the value of your blog, but you will get better Google Ranking and be more visible. Final tip: Bottom line, you want as many people visiting your site as possible. Visibility and exposure are what in the end will turn your posts into cash! Still confused? Never worry. There are professionals available to help you overcome your stumbling block if the theme is challenging. Head over to FIVERR! For as little as $5, you can find a whole bunch of people who will do this set-up for you. You can also ask a service provider from FIVERR to design a professional logo for you. These are all “tips and tricks” that will make you stand out in the crowd and not drown in a sea of other travel blogs! Plug-Ins are essential for the overall optimization of your site. WordPress plugs are like independent Apps for your site providing very useful additional features. Yoast SEO – Search Engine Optimisation is of crucial importance to the visibility of your posts on Google. Therefore, you cannot do without this plug-in that also integrates Google Sitemaps and Analytics. Akismet – Stop spammers leaving comments and dropping harmful links on your site. Akismet is the best plugin to protect your blog. Social Share Button – Social Media are the immediate extension of your site. You will want to automatically share all your articles on every social media presence connected to your travel blog. WPtouch – Most browsing today happens from phones and tablets. You will want to make sure that your visibility of smartphones is the best. WP-Optimize – Keeps a clean database on WordPress. Captcha by BestWebSoft – This is a super security anti-spam plugin for WordPress forms. Eliminates mechanical spider crawls and only allows real live individuals to comment on posts. There are plenty more plug-ins to use and choose from, and you will start gradually adding when you are more familiar with WordPress and how you can benefit from them. For the time being, the above are what you need to get started. You will want to give a lot of thought to your “About Page” which will be the most trafficked page on your site, the next thought is to spread the news on social media. 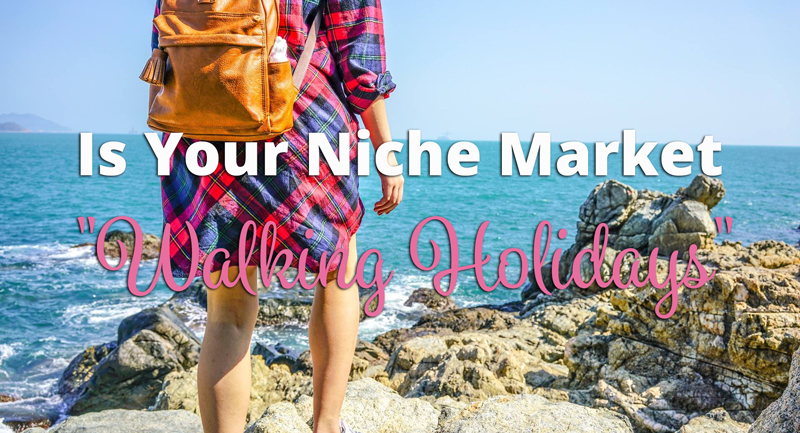 Your About Page is important especially if you are targeting a “niche market” example travelers under thirty, or walking holidays”. It will explain to anyone who cares to dig deep into your site, why you are special, and why they should follow you. Remember that the public in general loves to know more and more about you. Therefore, if you are sharing your life, keep it personable. Share your real self with your readers! Structuring your social media and keeping regular contact with your followers is singularly the most important part of your success – other than valuable content. Mastering social media is diffuse – but it needs a lot of TLC!! Building a big social media presence can take time, and it can be lost in a very brief time. So guard your fans, and treat them nicely! Remember Social Media is one of the Secrets to start your travel blog! We recommend that you try to keep the same name for all your social media platforms. It avoids a lot of confusion, plus your blog becomes a household name! Note that this is not an order of importance. You can use your ready list of friends from Facebook for immediate endorsement. But Pinterest and Instagram are highly visual and photo-orientated, so you want your presence strong on these social media platforms as well. #8: Write Your First Post! Yeah, all the heavy and fluffy structuring part is over, and NOW is where we really get going doing the FUN PART of our blog. This is the REAL START A TRAVEL BLOG JOURNEY! Your first post can be generic. You can share your ideas of the reasons why you want to start a travel blog. Perhaps start as early as planning your first trip. You can discuss how you are thinking of keeping your packing to minimalist status. Or you could be hitting an expensive smart market, and discuss how you are protecting your Louis Vuitton luggage!. Whatever it is you decide to write about, it will be important to learn how to drag and drop photos that are related to your post. Keep your posts visual. Your words are strong, but your visuals will be the key to your success. Later on your content, must be unique and individual. Keep it real. Share your experience and be free with tips on what to do and what to avoid. Share your favorite place and say why you didn’t enjoy another. Tourist traps and such like information is always appreciated. A final word of advice. Remember that its quality and not quantity that will count for a loyal audience. Here is where it starts getting serious. We have now gotten completely organized, and we are starting to fatten up the goose with vivid posts. But unless we just want to share our experiences, we need to make money from our travel blog right? This is where you need to head straight to our Post on How To Make Money With Affiliate Marketing. This post will prep you up in the best possible way and help you monetise your blog! After all, you are planning to travel for a long time, and hope to finance your travels with your blog. You also need the first-hand experience with your travels, and in turn, have more material to feed your blog! Affiliate Marketing is how you will be making money with your blog. It pays you to take the time to understand how it works properly. In a nutshell Affiliate Marketing, is where an advertiser will pay you a commission for advertising his product to your readers. If a reader turns into a consumer, this is called a “conversion” and this is how you will be paid for your blog. For example, did you ever use Airbnb for traveling? Did you know that for every host you refer you get a credit for free accommodation? If you are really set on the start of a travel blog in a professional manner and have it as your income base, then you should probably a thing of enrolling in a travel blogging course. This is not a definite requirement. You may want to experiment along the way and find your best formula. However, if you want fast and professional results, then you may want to invest in a little bit of time and money, and get trained professionally. You may be asking but why should I take a travel blogging course, if I plan to travel myself and have valuable and unique content? The answer is very simple. If you are planning to make money from your blog, you must become a professional blogger. A professional blogger makes money from his/her blog. This can be more challenging than it looks. In order to make money from any blog, you need to have a wide audience. How are you going to build your audience? How are you going to implement SEO? You can probably find out all this and more from searching the Internet and YouTube. 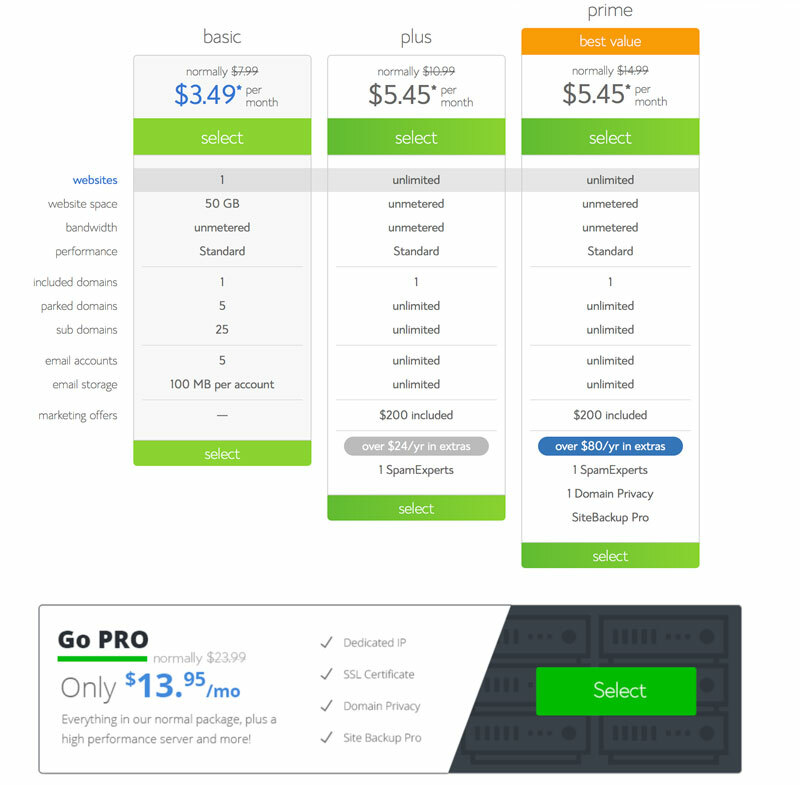 However, if you head over to UDEMY – you can get professional courses with as little as $15! Udemy has periodical sales when they reduce all their courses down by 90%. Bide your time properly and benefit from these apertures of discounts, and get a professional course for next to nothing. In conclusion, these “sales” on online courses, are as frequent as one week-end per month. Register with UDEMY and get their newsletter. You will then be advised when a sale is about to break out! You can definitely try courses about travel blogging on Udemy. Udemy is where you will find a fountain of information which is collated in a structured way. You will get useful information from top bloggers who have specialized in travel blogging professionally. Therefore, you will save yourself time and money in the long run. Admittedly, if you are about to start a travel blog, you are in for some hard work. However, you will need to keep our favorite motto in mind “If you are hungry to learn – You will Reap Results! I really love your site.. Very nice colors theme. It’s beautiful worth sufficient for me. In my opinion, if all site owners and bloggers made excellent content material as you did, the internet will probably be much more helpful than ever before. Oh what a shame but thank you so much anyway for reaching out. Your blog looks great too. Shame about the first post! Thanks for finally talking about >Start a Travel Blog. 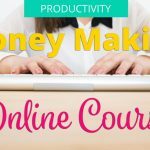 Learn how to travel and earn money online <Liked it! Excellent blog here! Also your website a lot up fast! What web host are you using? website, absolutely outstanding subject material. Many thanks for another outstanding article. Awesome job. Thank you so much. Please subscribe so that we send you posts automatically! mesmо layout dе рágina e design. Excelente Ԁɑs cores! I really lke your blog.. very ice colors & theme. I have joined your feed and look forward to seeking more of yoir great post. Also, I’ve sharerd your siye in my social networks! Thanks for one’s marvelous posting! I genuinely enjoyed reading it, you’re a great author.I will ensure that I bookmark your blog and will come back very soon. I want to encourage that you continue your great work, have a nice afternoon! I have been surfing on-line more than three hours lately, yet I by no means discovered any interesting article like yours. has constantly encouraged some individuals much like me to reach their goals. substantially more to my peers. Warm regards; from each one of us. Worked great, Got my 10 and started playing some slots. finish the wagering later today as i think im in a good position to do that. Hi! I just wish to give you a big thumbs up for your great info you have right here on this post. here, certainly like what you are saying and the best way wherein you are saying it.